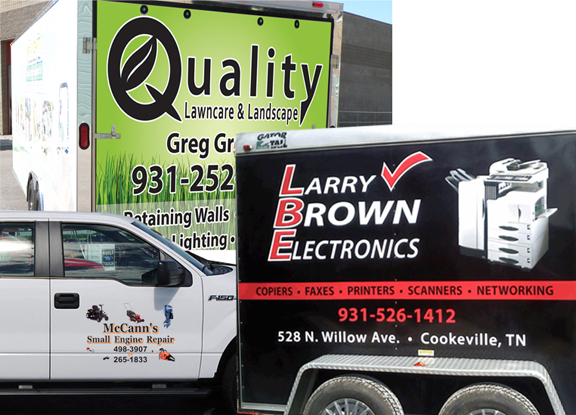 Want your full color design on your vehicle or trailer? From design to installation, we make it as painless as possible. We offer onsite installation! 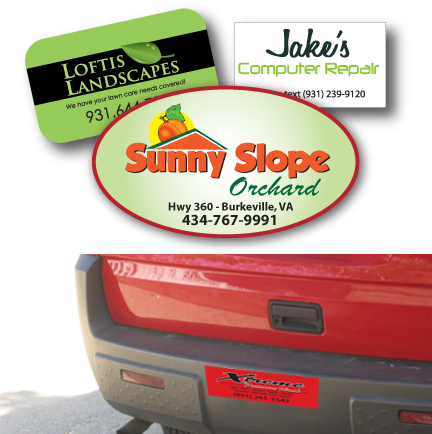 Make a statement with your logo or a bumper sticker on our vinyl decals. Many sizes, color options and lamination available. V I N Y L C U T L E T T E R I N G for vehicles, interior walls, windows or any other application. Many colors available. All custom designs, so email us your idea. 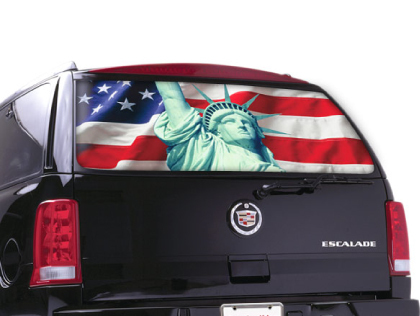 Make a statement with perforated window film. 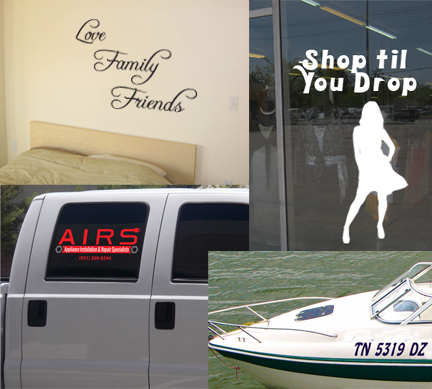 Display full color graphics on your back windshield or front door without compromising your view! We can design, print and install on site.